In a country nourished by so many world cultures, just how does a national menu that is so assured and individual spring up? We dig into the origins of Cuban food to find out. It is often said that a country can be judged by its cuisine. France’s food is encapsulated by seriousness, a respect for tradition and – whisper it – a hint of arrogance. Spanish dishes are full of bold beauty, a romantic nonchalance and a hint of fire just beneath the surface. Would you expect anything less from the nation that produced Penélope Cruz? And British food is – well, let’s just leave that one there. No fare tells the tale of its people more succinctly than Cuban cuisine. With roots that draw nourishment from across the globe, the food of Havana, Santa Clara and Cienfuegos are stirred through with a world of influence. Take ropa vieja. The dish started life as a humble shepherds’ beef stew on the Iberian coast of Spain. But it made its way across the Atlantic following the Spanish conquest of Cuba. And although Columbus and co-introduced the dish, the natives soon began to make it their own, adding South American bell peppers and, thanks to the arrival of French colonists from Haiti, raw garlic. You’d think that would be quite enough to make a rich melting pot (sorry) for noteworthy food. But wait, for there is more. A common accompaniment to many Cuban dishes is rice; an influence that can be traced back to the island’s part in the trading of African slaves. That same influence is responsible for Cuba’s passion for plantain, with the starchy cooking banana often fried and served as a snack. This cultural ménage à trois is all well and good, but it was only ever going to be so long before the good old US of A waded into the room. 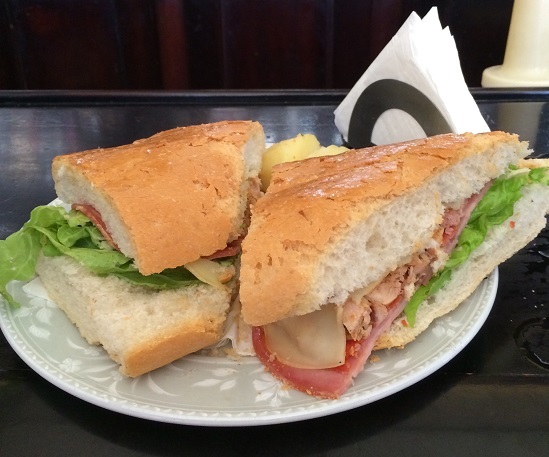 And wade in it did, with the creation of the formidable Cuban Sandwich. First invented due to the flow of cigar workers between Cuba and Florida, the Havanan lunch staple combines richly textured Cuban bread with pork, salami and (rather predictably) cheese. It’s not sophisticated but, damn, it makes for a tasty snack. Of course, the American influence has stretched further into the culinary mix of Cuba. The state-run El Rápido fast-food chain serves pizza, burgers and fries at numerous locations across the country. Avoid it, if you can. 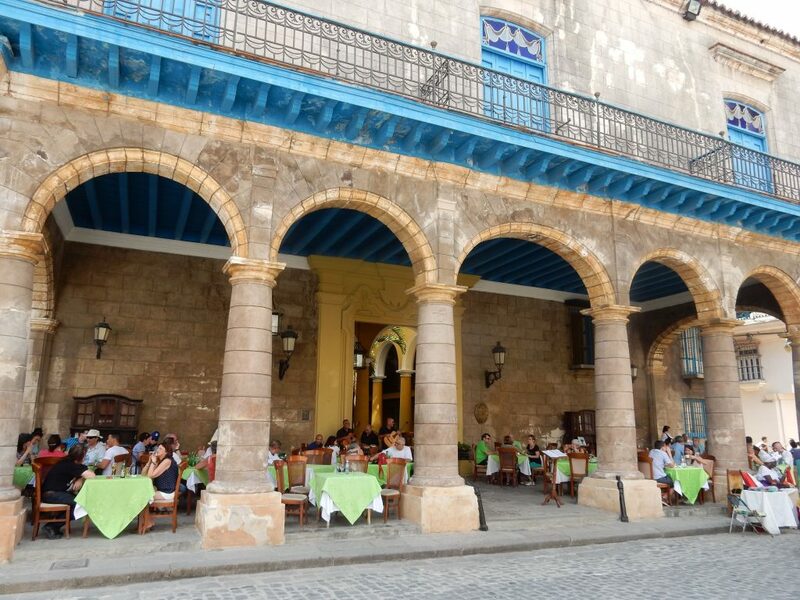 Much better to delve into the paladares of Havana; unofficial restaurants that are not endorsed by the government. Much of the time, they are located in the living rooms of locals. So far, so romantic. And the intriguing intimacy continues with the food. Expect delicately spiced chicken dishes and the gloriously named Gambas Pil Pil (sizzling hot prawns served in a chilli and garlic sauce). And all of it served in the kind of atmosphere you will experience nowhere else. 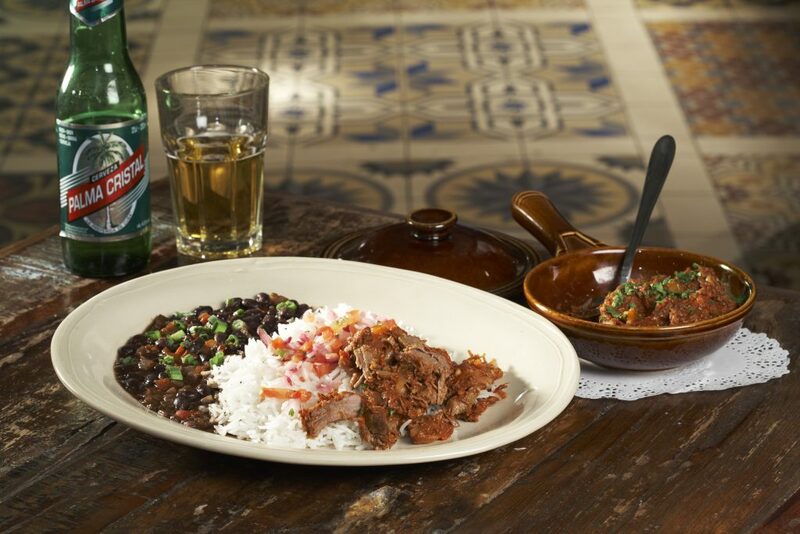 The most surprising thing about Cuban cuisine, though, is the fact that it just works. Where cultural clashes and tumultuous histories could result in a national menu that is confused and afraid of itself, the weathered-yet-bright optimism of the Cuban people shines through in every dish. In a time where uncertainty reigns over so many aspects of globalisation, the soul and sheer inventiveness of Cuba’s kitchen is a shining beacon for us all. And it’s that soul which inspires our menu, where we pay homage to the very best of Cuban, Caribbean and South American food. We put our own unique slant on it all, of course. It is the Cuban way, after all.